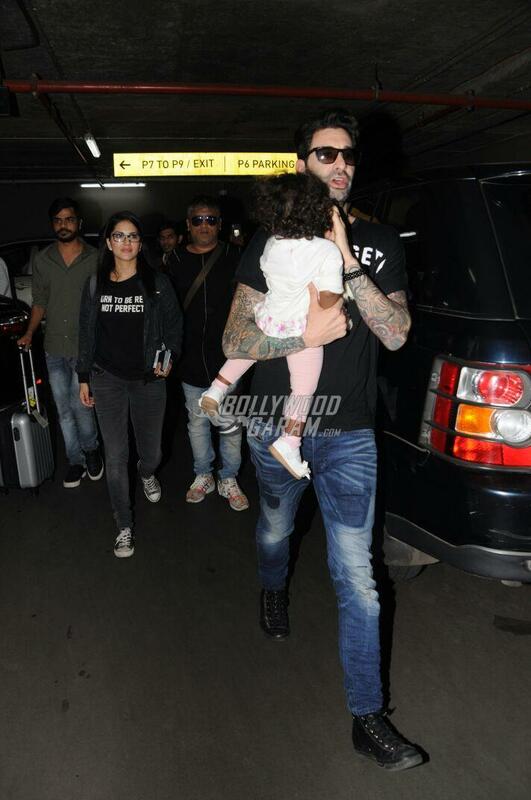 Once again Bollywood’s most stylish couple Sunny Leone and Daniel Weber made a very stylish yet adorable appearance at the airport with their daughter Nisha in Mumbai on September 18, 2017. 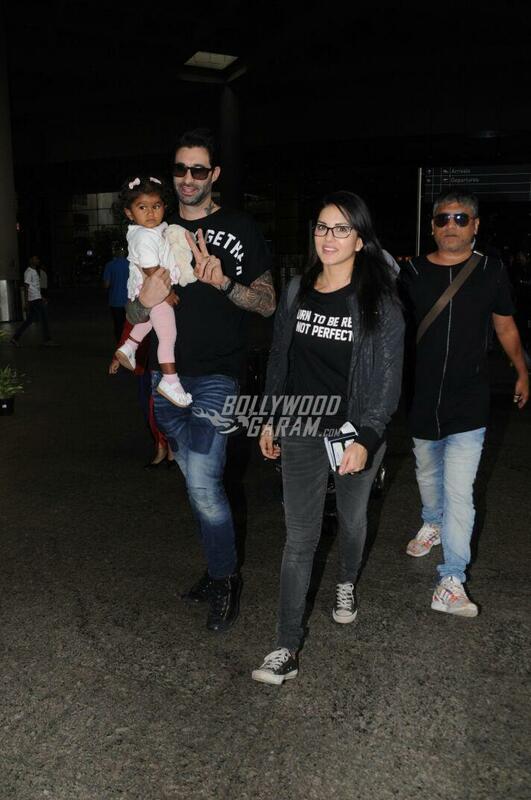 Little Nisha was being carried by Daniel while Sunny, walked along as she smiled for the shutterbugs. Sunny and Nisha’s daughter seemed amused by the attention she got from the shutterbugs while father Daniel was seen protecting her. 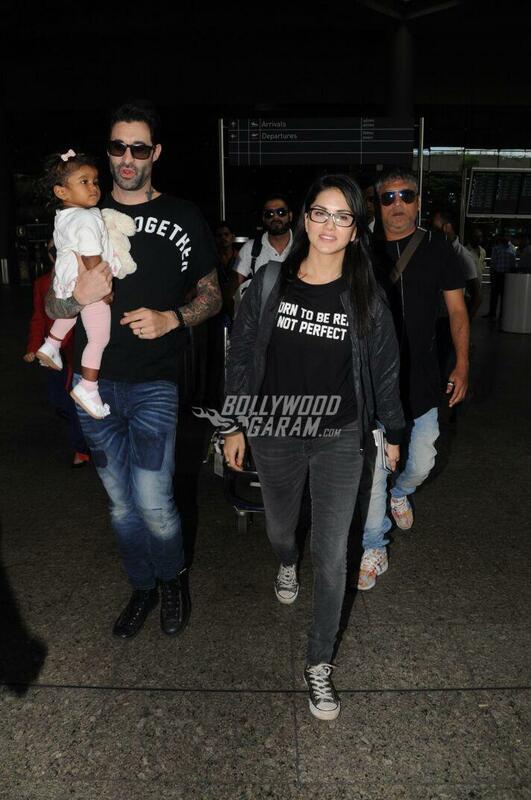 Sunny looked stylish in a black t-shirt, grey denims and a grey jacket while Daniel was seen in a black t-shirt and blue denims. 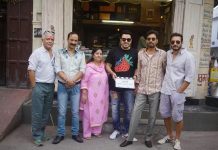 The little one too looked adorable in a while and pink outfit. A protective mother Sunny was seen strapping Nisha on the baby seat in the car. Sunny and Daniel adopted baby Nisha from a remote village known as Latur in Maharashtra, India. The actress since then keeps her fans updated about her experience of being a mother. Sunny and Daniel are often snapped stepping out with their daughter. 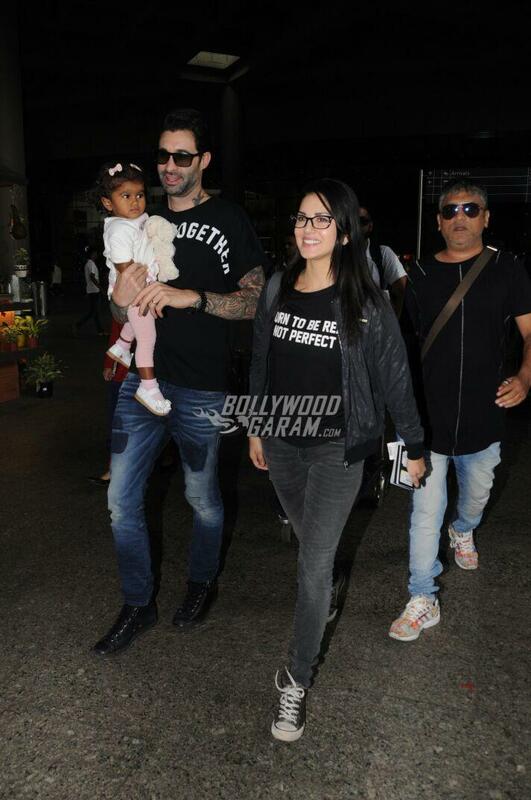 Exclusive photos of the new parents and daughter Nisha at the airport!